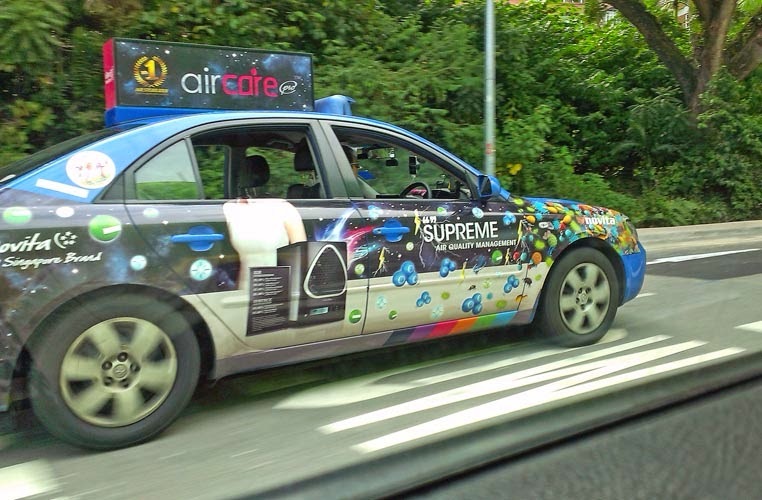 Taxis or cabbies in Singapore are of all hues and often nicely dressed up, inside as well as outside. 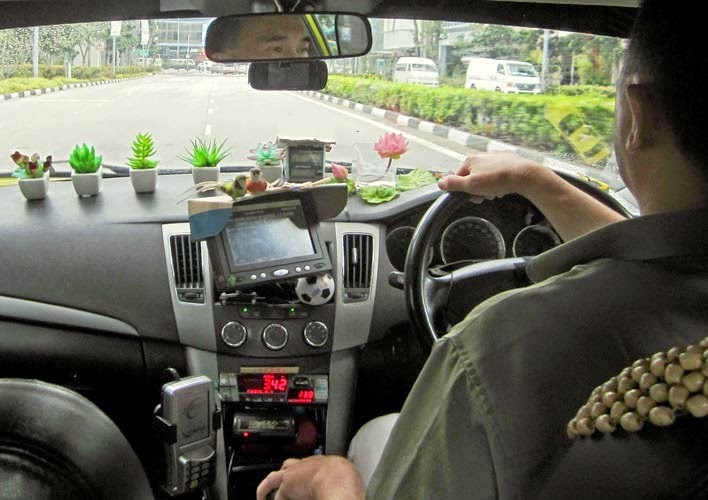 Inside of a Singapore cab, with GPS and camera too. 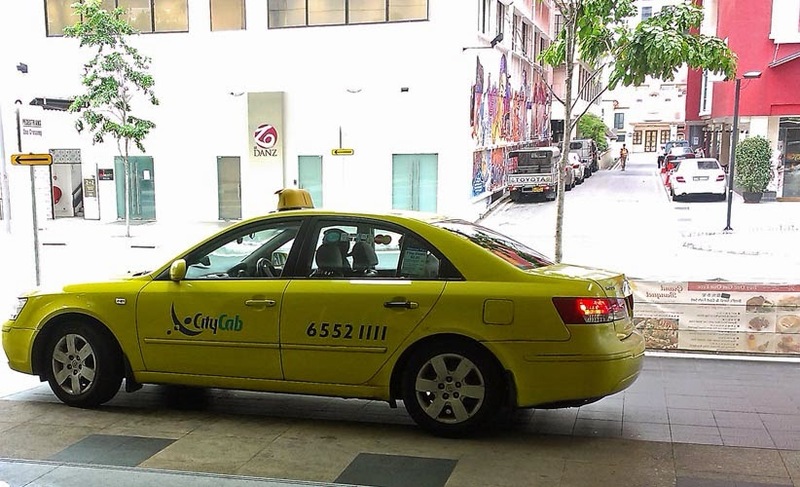 A Yellow city cab in Singapore. 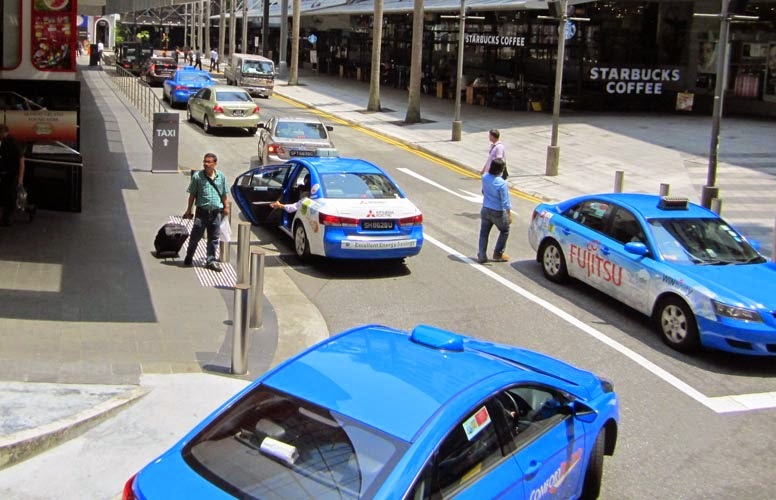 Several blue cabs in Singapore.